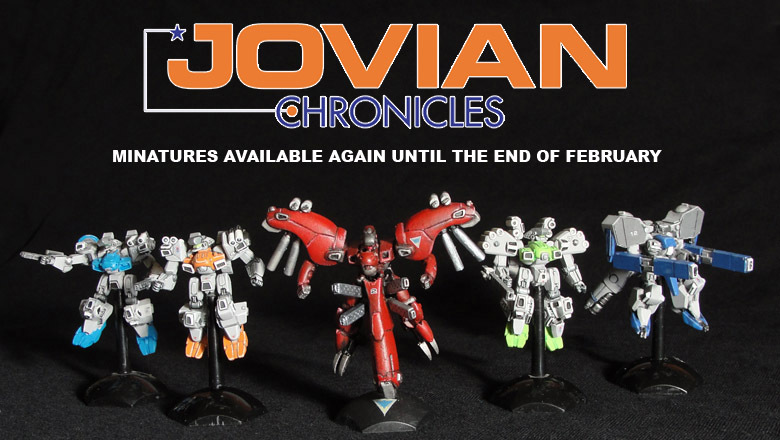 Dream Pod 9: Jovian Chronicles Miniatures Available Again! Its the new year and we have taken the Jovian Chronicles miniature molds out of storage again. They will be available to order until the end of February 2015, after that they will be removed from sale for another six months. For our Gear Krieg and Heavy Gear Fleet Scale miniatures fans, you won't have to wait long. The Gear Krieg minis will be back for one month in March and Heavy Gear Fleet Scale in April. Here is a link to the Jovian Chronicles miniatures page on the Dream Pod 9 Online Store for those interested. Home › Blogs › Robert Dubois's blog › Jovian Chronicles Miniatures Available Again!